Your child’s baby teeth allow him or her to chew and speak clearly and hold spaces for the permanent teeth. Baby teeth generally fall out in a predictable pattern and are soon replaced by permanent teeth. They should be kept in the mouth until they are ready to come out naturally unless they are causing a specific problem. When Should a Baby Tooth Be Extracted? Sometimes extracting a baby tooth is recommended. For example, a primary tooth might need to be extracted if the child has a severe toothache, infection, or decay. Baby teeth do not always fall out when they should. A primary tooth might need to be removed if it is preventing the permanent tooth from coming into the space where it belongs. An orthodontist might want to extract a baby tooth to begin orthodontic treatment. Some children develop a condition known as “shark teeth.” This occurs when a permanent tooth comes in before a baby tooth is lost, resulting in two rows of teeth. The primary tooth should usually be extracted, but it is not considered an emergency situation. 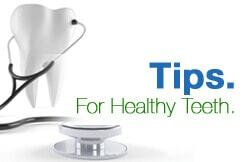 If the dentist recommends extracting a baby tooth, be calm so that your child will not become frightened. Don’t talk about shots, pulling the tooth, or pain. The dentist will give your child anesthesia to make him or her as comfortable as possible. If a baby tooth needs to be extracted before the permanent tooth is ready to erupt, the dentist may use a space maintainer to preserve a space for the permanent tooth. This will depend on your child’s age, the tooth that was pulled, when the dentist expects the permanent tooth to come in, and whether or not there is crowding in your child’s mouth. Extracting a baby tooth will not relieve crowding. Your child may still need orthodontic treatment in the future. The dentists at CT Pediatric Dentistry have treated many children whose baby teeth fell out late or who had issues with crowding. We can evaluate your child’s teeth and figure out whether or not extracting a baby tooth is the best decision. Schedule an appointment for an exam and evaluation by our highly trained staff.